ESPN has reached the 1 million paid subscriber mark for its direct-to-consumer streaming service called ESPN+. Why it matters: The service is the company's biggest effort yet to offer content to fans directly, rather than via pay-TV operators. The early success of ESPN+ is a good sign for ESPN's parent company, Walt Disney, which is planning to launch other direct-to-consumer streaming products for other parts of its business. Yes, but: Some of these subscribers were converted from ESPN's paid ESPN Insider program. ESPN says, however, that that vast majority of the 1 million subscribers are new subscribers, who’ve signed up for ESPN+ since its launch in April. "Adding ESPN Insider to ESPN+ did add some subscribers, but they account for a significant minority of the total. 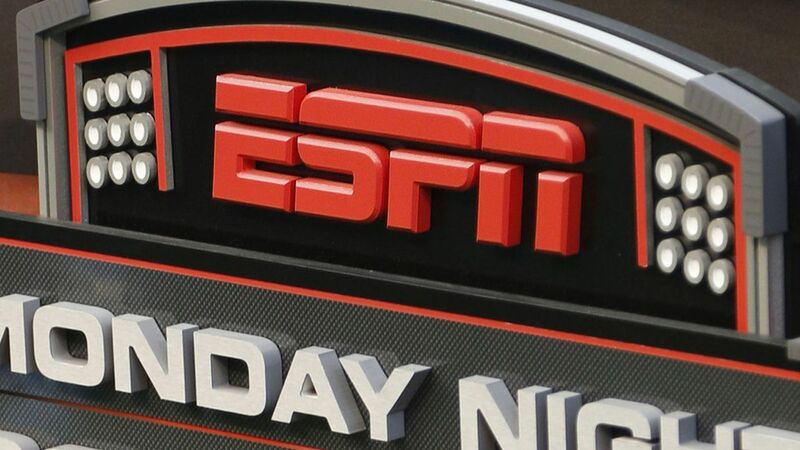 Adding ESPN Insider to ESPN+ was about simplifying and clarifying our ESPN digital subscription offering to fans – while also adding value to their subscription," says a spokesperson. Between the lines: Some analysts were bearish on ESPN's ability to get people to pay for its content directly, since for many years consumers have been getting it as a part of a much bigger cable or satellite package, where it isn't as obvious how much more expensive ESPN is in comparison to other channels. “Reaching one million paid subscribers is an important milestone for any video subscription service, but reaching this benchmark in such a short amount of time is an incredible testament to the teams from DTCI (Direct to Consumer and International) unit and ESPN." — Kevin Mayer, chairman, Direct-to-Consumer and International, The Walt Disney Company. The bigger picture: Disney has made big investments in streaming over the past year, so that it can launch other streaming product across its portfolio of entertainment studios and television networks. Disney, which is acquiring 21st Century Fox's entertainment assets, plans to build out a streaming service for family-friendly entertainment programming in late 2019. It also plans to pump more resources into Hulu, which it will become a majority stakeholder in with the completion of its Fox acquisition. Be smart: ESPN has been losing Pay-TV subscribers for years, leading to painful layoffs and reorganizations. The future of the network relies on its ability to migrate pay-TV subscribers over to digital, and this shows that the strategy has potential. ESPN launched ESPN+ in April as destination for serious sports fans for a $4.99 monthly subscription fee. Subscribers get 1) News, scores, highlights and audio; 2) Authenticated video access to ESPN programming with a cable subscription login; and 3) Exclusive live sports and content, including ESPN's popular 30 for 30 series. ESPN worked with Disney's newly-launched Disney Direct-to-Consumer and International (DTCI) unit to build the product. Disney acquired a majority stake in BAMTech (a top sports streaming tech companies) last year to help build out ESPN+, but also other products. ESPN president Jimmy Pitaro told reports in August that consumers should expect to see a limited ad experience in ESPN+, mostly through the form of sponsorships. Go deeper: What you get with ESPN+. Note: This post was updated to include information about ESPN's Insider Program.